Building a Relationship is Like Building a House! Are you hurting? We were. 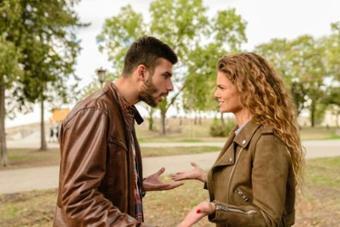 Do you feel unheard or misunderstood by your partner? We did. Have you even thought about throwing in the towel? We understand. Finding love is such an amazing experience, but when we run into consistent issues in the relationship, it can be crushing. But we are living proof that your relationship can turn around! We’ve been through some of the roughest and most intense conflicts but overcame it and learned how to build our love into something STRONG, INDESTRUCTIBLE and REAL! We decided to take the principles we’ve learned over 27 years of growing together and turn them into this 2.5 hour course so that you can experience the same transformation! We have come to learn that building a relationship is like building a house. Some houses are crumbling and in desperate need of repair, while others are designed to last. Let us teach you how to have the latter. This course is a GOLD MINE! Think of it as a relationship blueprint that will help you build up your broken connection. Experience the Excitement of Supporting each Other! Regardless of your sexual orientation, The Relationship Reconstruction Course will provide you with actionable steps, communication principles, and strategies for a healthy, happy, rewarding, and lifelong relationship. No more leaky roof. Buh-bye, busted foundation. Hello Relationship Reconstruction Plan!